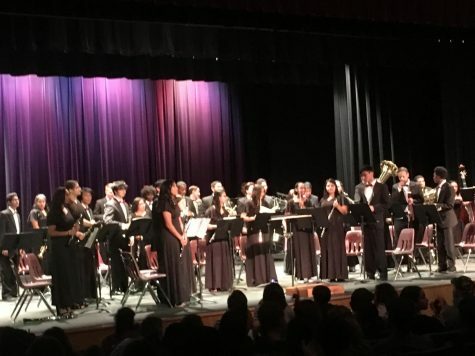 On Monday, October 8, the WRHS Concert Band, String Orchestra, and WR Junior High Band took the stage for a memorable and moving performance. 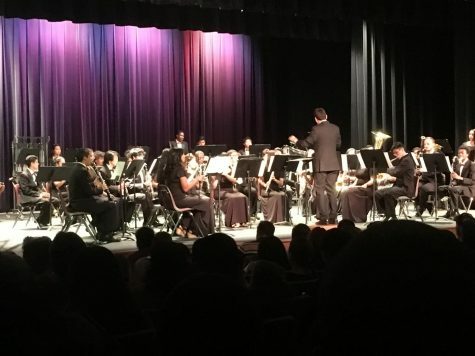 In front of a packed house in our theater, all three bands entertained the crowd with tunes ranging from hoedowns, marches, hymns, and folk songs. The Band Orchestra culminated the evening with a wonderful rendition of, “Zacatecas,” an uplifting and powerful Mexican patriotic song considered to be the 2nd national anthem of Mexico. 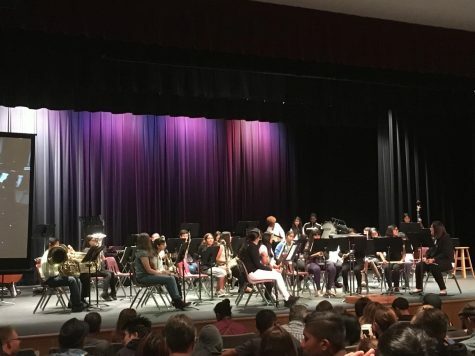 Those in attendance were indeed treated by all three orchestras, especially the WR Junior High Band who consisted of mostly new musicians and a few students trying new instruments. The Junior High Band began the evening playing, “Mountain Hoedown,” followed that up with, “First Concert Overture,” and concluded with “Starfire March.” These young musicians stepped up big time as they performed flawlessly in front of a packed theater. 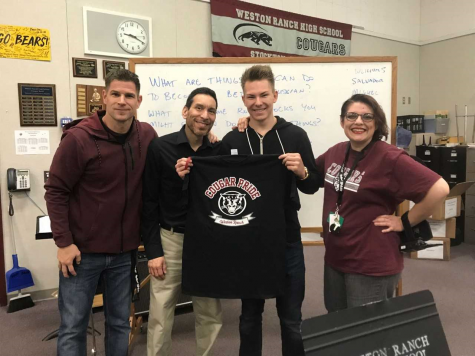 We will certainly welcome them to WRHS in the years to come and hope they continue to progress and grow as musicians. The WRHS String Orchestra was next to play and they did not disappoint. Along with hymns and folk songs, they ended their set with “Petite Tango”. This piece was a difficult piece to play, but our String Orchestra nailed it and many members of the audience were quite animated during the progress. Well done, String Orchestra! Our WRHS Concert Band concluded the evening and provided the audience with their versions of “Kronos,” “Bosnian Folk Song,” and the previously described “Zacatecas.” During the performance, soloists shined during all three songs and the audience showed their appreciation by breaking into thunderous applause upon conclusion of each piece. 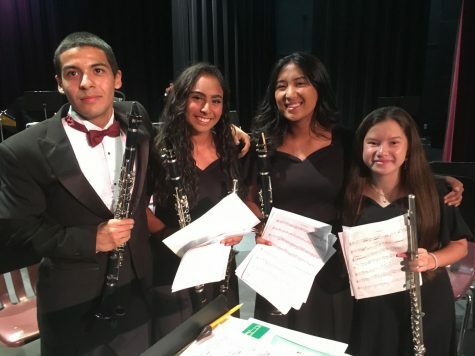 “The excellent performances made it difficult to believe the number of first-year music students as well as those trying an instrument for the first time. And, I have never seen the theater so packed!” an obviously moved and excited Mr. Salas exclaimed. 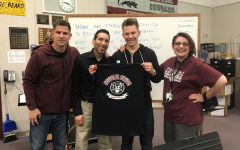 The band can be seen at our home football game on October 26th, as well as December 8th as they will perform at the Lathrop Holiday Parade. They will also return to the WRHS theater on December 13th for the Winter Band Concert. Hope to see you there and remember to support the arts!